We are pleased to provide our 2nd Annual Cybersecurity Year in Review/Year Ahead Analysis to clients and friends of the firm. 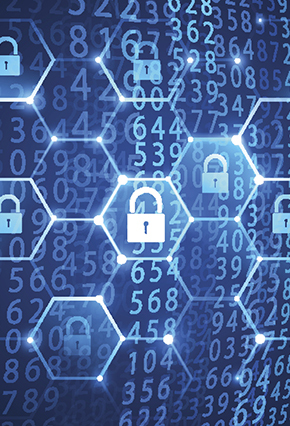 Van Ness Feldman’s cybersecurity team has consolidated and summarized important cyber related developments from 2018, as well as provided some analysis about the direction cybersecurity issues may take in 2019 as they relate to the interests of firm clients. Our team continues to track both cybersecurity law and policy developments in a wide range of critical infrastructure areas, chief among them are energy, water, and health, as well as highlighting a handful growing fields. Specifically, this document summarizes new regulatory initiatives undertaken by federal agencies and Congress. For example, activities at the Federal Energy Regulatory Commission (“FERC”) and North America Electric Reliability Corporation (“NERC”) and their impact on electric utility clients. The review also discusses updates provided by the Transportation Security Administration (“TSA”) for natural gas pipelines, and the continued debate about the efficacy of the agency’s regulatory posture. With respect to the water sector, the review covers the implications of America’s Water Infrastructure Act of 2018, which requires all community water systems serving more than 3,300 to conduct a risk and resilience assessment that must consider cybersecurity threats. Lastly, in the health sector, we review new cybersecurity initiatives by the Department of Health and Human Services and the agency’s response to bipartisan criticism of an earlier cyber threat report. This document also addresses cybersecurity related advancements in emerging areas such as privacy, data security and autonomous vehicles. While Congress grapples with crafting an overarching privacy law, several states have lead the way enacting legislation to protect their citizens. On the international front, companies remain watchful of the impact of the European Union General Data Protection Regulation (“GDPR”). Finally, in keeping with the firm’s foundational policy and government advocacy services, our team has tracked the key legislative developments that impact cybersecurity. Despite the anecdotes of gridlock, Congress enacted several laws impacting funding for and the efficacy of cybersecurity programs. Members offered even more bills to advance pipeline cybersecurity and other initiatives, however with the close of the 115th Congress, many of these bills will need to be reintroduced in 2019. 2018 was an action-packed year in terms of new and different approaches to addressing some of the country’s most imminent cybersecurity threats and we expect even more innovation and discussion in 2019. VNF’s cybersecurity team will continue to keep you well informed in this New Year. In the interim, if you have any questions or need more information about the topics in this report, please do not hesitate to contact us. Click here for the full report on Critical Infrastructure: 2018 Cybersecurity Year in Review/2019 Year Ahead Analysis.